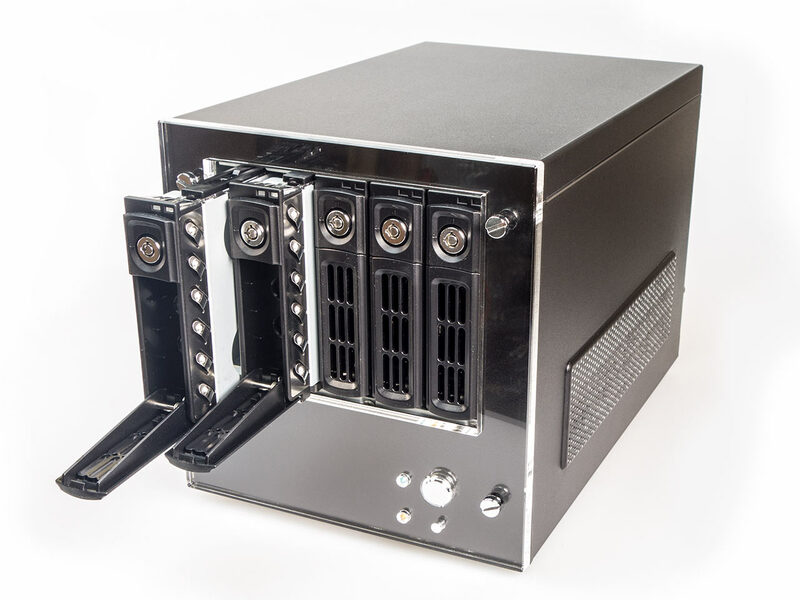 This solidly constructed Steel and Acrylic chassis has 5 individually lockable hot-swap/removable drive bays suitable for either 2.5in or 3.5in hard drives. Full height PCI or PCI-Express cards are supported. 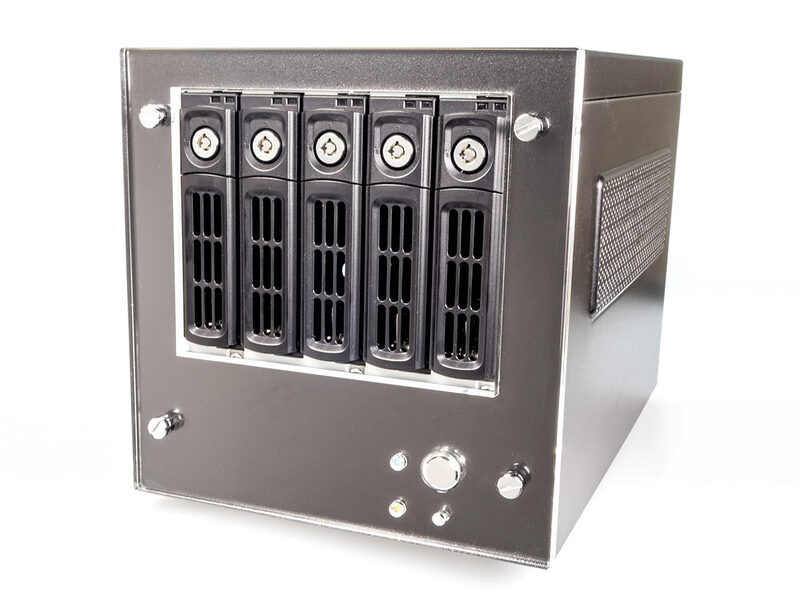 Bays: 5x 2.5/3.5in SATA HDD/SDD in Lockable Hot-Swap/Removable Caddies. Cooling: 1x 80mm Rear Fan. Front Panel: Power Button; Reset Button; Power and Storage Activity LEDs; Each Drive Caddy has Power and Activity Indicators. Power supply: Internal 300 Watt AC Adapter with 40mm internal fan. UK power cord provided as standard. 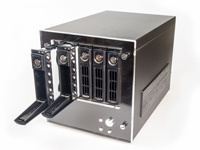 Power connectors: 1x 24pin ATX; 1x 4pin 12v P4; 1x 4pin to extend P4 to P8; 1x 2pin to extend P4 to P6; 1x 6pin PCI-E; 3x additional SATA (SATA backplanes powered by AC Adapter). Measurements: 200mm (W) x 250mm (H) x 300mm (D) (7.9in x 9.84in x 11.81in). Supported boards: Boards with 24pin ATX connectors; All Embedded (e.g. 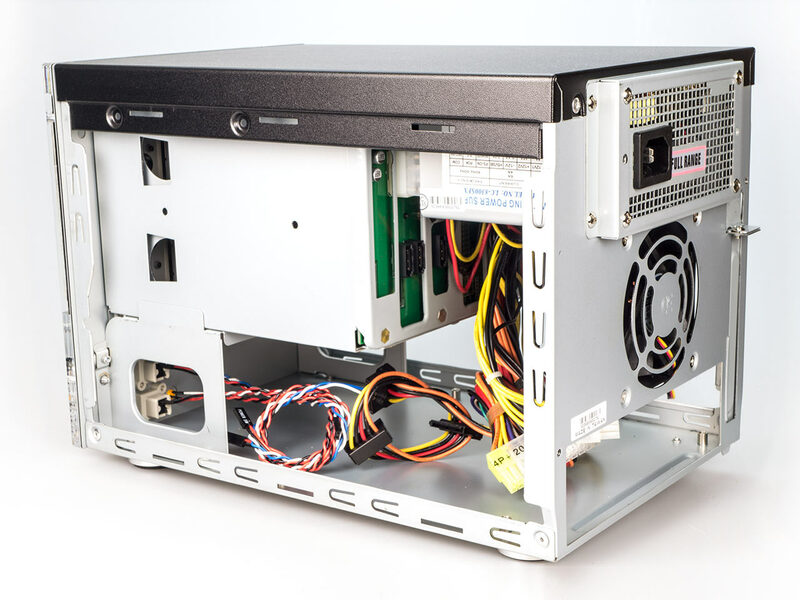 Atom, Celeron Bay Trail) Mini-ITX boards with ATX connectors; Socket Mini-ITX boards *only* with suitable low profile heatsink fitted such as Akasa 7106HP or K25 (Retail 35W TDP Intel CPUs come with suitable low profile heatsinks).